Canada's forestry industry is pushing back against comments by U.S. President Trump that lumber imports are partially to blame for intense forest fires in California. Trump said a at cabinet meeting Thursday that the U.S. should harvest fallen trees from the forest floor, which he says are making fires worse, rather than import wood when "Canada is charging us a lot of money to bring their timber down into our country." "At a number of levels the president's comments are just really off-base yet again." "It's his tariff regime that's really provided a 20 per cent hike to consumer prices in the U.S. on softwood lumber." "They have an instant remedy available to them, and that's to rescind the tariffs that we believe were unjustly placed on lumber and that would provide an immediate discount to American consumers." Nighbor said there is a conversation to be had about managing dead wood and fire threats, but that harvesting such wood is a complicated affair. "Even if they would be able to get all that wood, they wouldn't be able to process it." 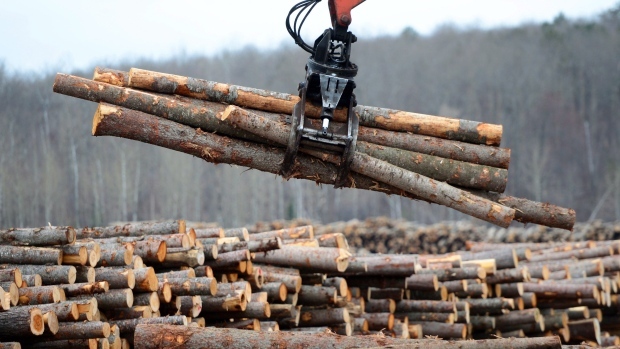 The U.S. has seen increased investments in milling capacity, but still only supplied about 34 billion of the 48 billion board feet of lumber it consumed in 2017. The country won't be able to close that gap any time soon, said Yurkovich. "The gap between domestic demand and domestic supply is between 14- and 15-billion board feet. Putting that much production onΓÇªin my view, that's going to take years and years and millions and millions of dollars."